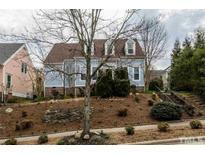 Forest Creek - Great location just minutes to UNC , RTP, RDU airport & I40 MLS#2246492. 3048. Set up for Dog Kennel. ALL APPLIANCES INCLUDED! MLS#2246345. 350. PRIVATE WOODED LOT AND an UNFINISHED BASEMENT in Briar Chapel!This beautiful 4 Bedroom/3.5BA home also has green space adjacent to the lot.First floor has a separate dining room,laundry room,Large kitchen with island plus stepped up bar for barstools,walk in pantry,dining area directly off kitchen and Large screened porch.Light filled two story great room completes the main living area.Large Master Bedroom/soaking tub and shower.Large bonus room on separate lower level.Oversized garage.Two level deck across entire back.Must see! MLS#2246348. 850. Price Creek - Enjoy views of nature from the front porch, deck, balcony or patio. MLS#2246428. 81. The Legacy At Jordan Lake - 1 mile to Jordan Lake: Boating, Swimming, Camping,Fishing! MLS#2246385. 4632. North Forest Hills - Don't miss the 3D video tour! MLS#2246362. 81. Call for appointment today. Will not last! MLS#2246527. 2647. Glenn Heights - CH schools. 5 min to downtown/UNC! MLS#2246421. 3336. Herndon Woods - *Fantastic Cape Cod situated at the end of a quiet cul-de-sac *1/2+ ACRE LOT w/ PRIVACY yet WALKING DISTANCE to The Veranda - Restaurants & Retail & ACCESS to BRIAR CHAPEL Salt Water Pools & 28 miles of walking/biking trails *Master Bedroom on 1st floor *Spacious Living Room w/ Fireplace *Tons of NATURAL Light *HUGE CLOSETS on 2nd floor *Close to UNC/Hospital *LOW County Taxes *Connected to water/sewer *Rocking chair front porch *Large SCREENED porch overlooking woods & bckyrd w/ plenty of space to run, play & explore... MLS#2246651. 45. Fox Meadow - Easy access to downtown Chapel Hill as well as shopping and I-40.Hurry this one won't last long! MLS#2244991. 150. Shenandoah - Dry Sauna! ScreenPrch! Grillng Deck! Generator! MLS#2246258. 1128. Your personal oasis mins from hospitals, UNC, RTP! MLS#2246304. 3048. The Preserve At Jordan Lake - Take a look here: http://bit.ly/2ONRyTy MLS#2246195. 25. The Preserve At Jordan Lake - Huge 3 car garage, walk in floored attic storage! ! MLS#2246189. 150. 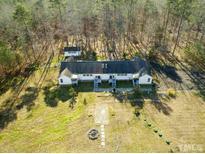 Stateside - This private home is very convenient to UNC,I40 and Duke. MLS#2246155. 64. Don't miss an opportunity to own this gem at an amazing value! MLS#2246311. 297. Colony Woods - New paint throughout, upgraded decks, multi-zone HVAC with thermostats in each room, spray foam insulation, East Chapel Hill High school district, low maintenance (no yard to mow). MLS#2246171. 81. End your day on the private screened porch overlooking the large, fenced yard. MLS#2245889. 29. New appliances, new roof, new HVAC, too much to list here! MLS#2245996. 350. The Oaks - Classic Goforth Contemporary, multi level living featuring foyer with crab orchard inlay, living room with hardwood flooring, fireplace and hand finished balancing built-ins, kitchen has Corian counter tops and brick floors, office/study with custom cabinetry, main level bedroom has full bath and access to deck, family room with fireplace and views, 2nd floor Master with spa, 2 additional beds have baths en suite, lower level workshop, home sits on almost an acre, porte cochere for parking, it's perfect MLS#2245896. 29. Upgraded amenities include a finished second level with a full bath * floor level walk-in storage * Spacious atrium style glassed in porch * Large laundry room * Two separate closets in the master * A custom designed deck with wooded views behind * A walk-in crawlspace * Abundant hardwood floors * Granite counters * Gas range * Cul-de-sac location * Low Maintenance in an ideal location close to restaurants & entertainment in Chapel Hill & Durham MLS#2246084. 4084. Briar Chapel - Screen Porch & Stone Patio! Fenced Yard! MLS#2246004. 2016.